Best-by date V Harvest-date | Patrice Newell's online organic biodynamic Australian garlic and olive oil. Bigger producers use best before dates because they blend large volumes of oil. And the oil is sent far and wide to various shops. Our process here is simplier. We’re a small producer focusing on organic production and regenerative land management. We harvest our olives each year and bottle the goodness. 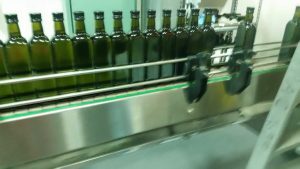 We always put on the bottle the date when the olives were harvested and the batch number from the processor. We recommend enjoying your oil during the following 12 months. We send the oil to the NSW DPI Wagga Wagga lab where the oil is tested to make sure the free fatty acid profile meets the global standard and to get a measure on the polyphenol percentage. The higher the polyphenol reading the better! Yes it may be robust, but oh! How wonderful it is with vegetables!